Xinjiang, a city in northwestern China, is home to a substantial population of Uyghurs―Turkish people of Islamic faith. 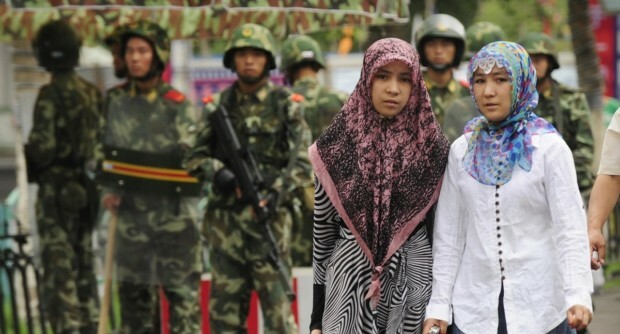 In September 2017, the Chinese government began establishing “re-education camps,” which sought to severely undermine the cultural and religious identity of this ethnic group. Although the exact numbers are unclear, according to a U.S. State Department official, there are at least 200,000 and possibly up to 2 million Uyghurs living in these camps. Given these circumstances, the Chinese government announced a new propaganda campaign a few days ago that would seek to mold public opinion, at least in China, in support of their cause. Most of these reports containing detailed statistics of the number of crimes committed in Xinjiang. Nevertheless, they also report the number of “illegal religious activities” and the high number of confistications of “illegal religious material” to justify government action. What these phrases actually mean, or how engagement in these activities is illegal, is unclear. Over the past few weeks, videos have also been gradually released as a retaliation against the barrage of vehement criticism leveled at the Chinese government. Interestingly, many videos produced are only available to foreign audiences, suggesting that discrepancies might exist between how foreigners view the situation in comparison to how mainland Chinese are reacting. For example, the television network CGTN recently released a video titled “Are Uyghurs being tortured in China?” on Twitter, which is forbidden in China. It would be interesting to further examine how mainland Chinese are reacting, or if many people are fully aware of foreign responses to the human rights crisis.